De Koffie Pot are very pleased to welcome the Blue Haze Quartet playing the music from their current album – From the Blue Hills. Eleven original compositions by jazz pianist Simon Deeley in styles ranging from the lively Latin-jazz of On a Wing and a Dance through the in-the-groove-jazz of Soul of the West to gentle reflective ballads such as Ballad of the Blue Waters. 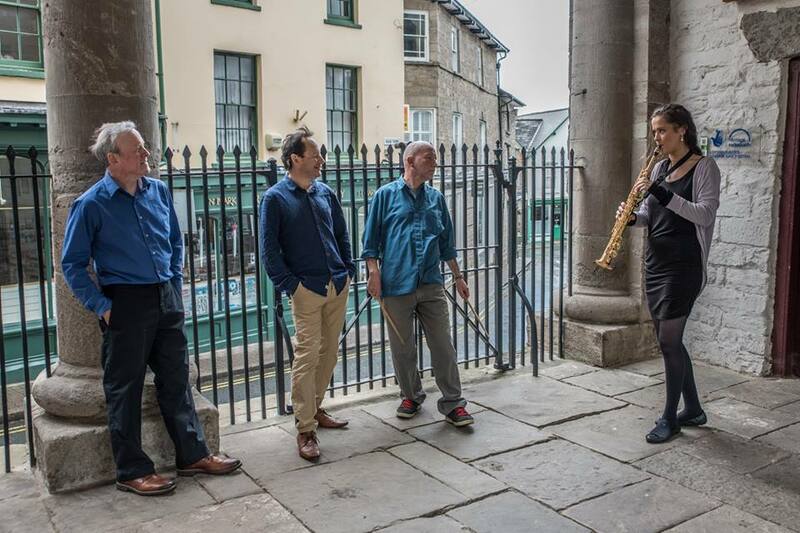 Simon Deeley – who is originally from the West Midlands, where he performed regularly on the region’s jazz scene up until his move to the Borders in 2014 – formed the Blue Haze Quartet at the beginning 2017. This new band, then went straight into rehearsal, working on the new tunes he had composed over the previous Autumn. In the August of that year the band felt that they were finally ready to go into the recording studio and cut a disc of the music. At the beginning of 2018 the band, who’s members all hail from the Welsh Borders, began a tour playing the music from the album. The music in the album is in Simon’s now signature style, and so we have infectious, colourful Samba’s and Bossa Nova’s sitting alongside cool-grooving jazz-fusion numbers and gentle evocative ballads, with, adding a further dimension to the mix, the touches of classical and film music style elements. Along with Simon Deeley’s strong incisive and harmonically vivid keyboard playing the music is brought to life by the driving, powerful and skilled interaction of Charlie Russell on drums and Ian Cooper on bass, with, over-arching all, and of course putting her always clever and individual twist on the music, the virtuoso, powerhouse Martha Skilton on saxophone. Put simply, you’d certainly say – hearing this band live is an event to remember!